CINCINNATI -- Friday marks the end of an era in City Hall's transportation department as long-time director Michael Moore had his last day after a decade of leadership. In a February memo to the mayor and council members, City Manager Harry Black characterized Moore's work as an example of "steadfast service." "We want to thank you for your many, many years of service to the city of Cincinnati ... We're thankful to have gotten out of you what we have gotten out of you," Black said during a subsequent Feb. 14 City Council meeting. During Moore's time as director, he's been busy. The city saw the first real movement on the streetcar project. His staff conceived a 15-year bike infrastructure program, including four major trail projects, a protected bike lane and a bike share system. He also helped lead the implementation of the Capital Acceleration Program -- the five-year plan to upgrade the city's roads as well as its aging fleet of police cruisers, ambulances and plows and salt trucks. Before his time as director, Moore was a city architect in the department. He began with the city in 1994. 1. Where is public transit headed? 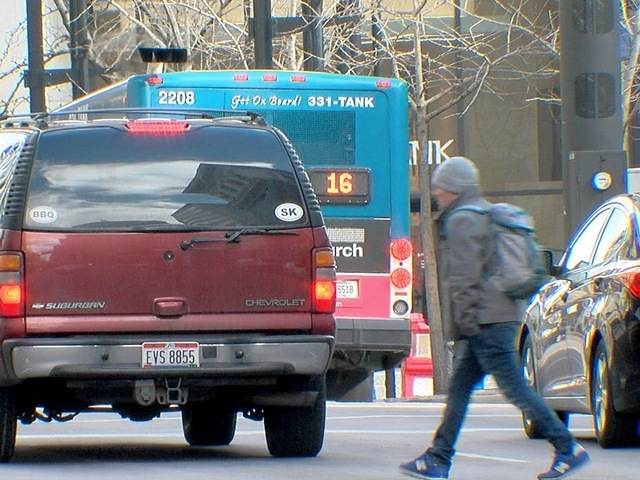 The future of Cincinnati's Metro bus service has been a topic of frequent discussion since the 2017 mayoral and city council campaigns. It doesn't reach enough jobs -- roughly 75,000 are not accessible via Metro, according to a University of Cincinnati study -- and the transit agency is facing a budget crisis. While the Department of Transportation and Engineering is not directly involved in day-to-day Metro operations, the Southwest Ohio Regional Transit Authority will need to partner with the city to address some of the concerns riders have raised about Metro service -- mainly involving making stops more accessible for those using wheelchairs or other devices. The DOTE's more direct tie to transit lies along the streetcar tracks: The controversial rail transit system's future remains in limbo. The new director will have to wait and see whether the new city council will take action to expand into other neighborhoods. One of the earliest problems to arise with the streetcar: getting stuck in Downtown traffic, especially rush hour. Unlike many other rail transit systems, Cincinnati's streetcar does not enjoy the luxury of a dedicated, streetcar-only traffic lane. The same goes for Cincinnati Metro bus lines that run through Downtown -- that is, almost all of them. This means that the buses and streetcar vehicles get stuck in the same traffic as motorists moving through the Central Business District. It got so difficult so quickly for the streetcar to stay on time that, less than a month after its September 2016 launch, city council called on the DOTE to perform a traffic signal study on downtown Cincinnati . The problem stems from multiple factors. First, city engineers say that Downtown traffic signals are timed to favor east-west travel, connecting motorists between Interstates 71 and 75. This causes north-south traffic -- which primarily feeds transit lines, including the streetcar route -- to get stuck in gridlock during the morning and evening rushes. Walnut Street gets particularly congested during the evening rush, slowing down the streetcar and more than 30 bus routes. Not only are the signals timed to favor east-west versus north-south, but they also favor vehicles of a certain size and moving a certain speed. Larger vehicles like buses and streetcars often move slower than their small counterparts. This also impacts signal timing for pedestrians and bike commuters. Then-transportation committee chair Amy Murray said the study should offer "recommendations that optimize and maximize the efficient movement of all users of the public right-of-way" (emphasis included in a motion filed Oct. 12, 2016). An initial version of the motion, submitted days earlier by council member Chris Seelbach, had specified studying the impact of optimizing traffic signals for transit vehicles. The administration expects to present the results of that study sometime this spring. 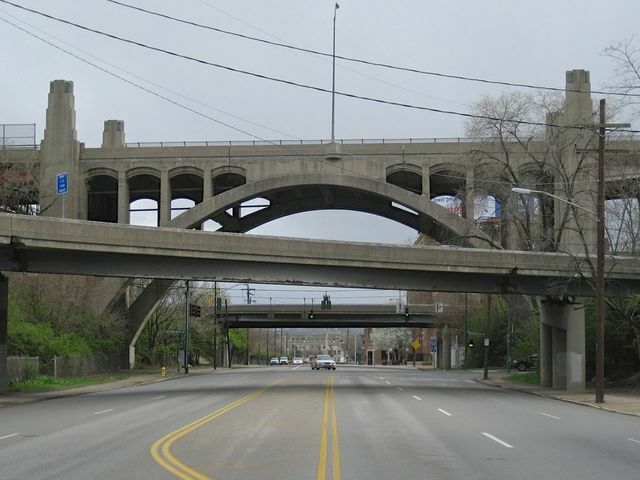 Even if Moore had stayed Cincinnati's director another 10 years, he still might not have seen the completion of a new Western Hills Viaduct. The 86-year-old bridge has been flagged as needing a replacement for more than a decade, but city and county leaders have struggled to come up with a plan to pay for a new bridge. The county owns the bridge, and the city maintains the bridge. Last December, both city and county officials announced each administration had found the money to match potential federal funding to pay for the $330 million bridge . The announcement was a milestone for the project, but there is still a lot to do. Moore's replacement will have to oversee the federal grant application process to find the money. Local leaders hope to find enough federal money to finance 80 percent of the cost. The viaduct is not the only major bridge project looming over the Tri-State. The Brent Spence Bridge, connecting Cincinnati and Covington, Kentucky, also needs a supplemental bridge to accommodate traffic flow down the busy corridor, state transportation officials from both sides of the river agree. While the city and county are Brent Spence stakeholders, they play relatively minor roles in organizing the project. The Ohio Department of Transportation and the Kentucky Transportation Cabinet teamed up to develop the $3 billion plan. The last two years of Moore's tenure as director saw an uptick in high-profile traffic fatalities involving pedestrians -- along with an increased demand for action from the DOTE. Council members Seelbach and P.G. Sittenfeld spearheaded action in 2016 directing the DOTE to study the city's most dangerous crossings and intersections for pedestrians. That study and other subsequent studies led to a 2017 measure to allocate $500,000 of the city's budget for pedestrian safety improvements. So far, such improvements have included crossing paddles positioned in the middle of certain crossings. The city is also exploring blinking pedestrian signs and raised crosswalks. Beyond these measures, some residents still blame the Cincinnati Police Department's Traffic Unit for not enforcing speed limits enough . City council member Greg Landsman, who heads up the Major Projects and Smart Government Committee, says he hopes to bring the DOTE, CPD and neighborhood leaders together to form a collaborative approach to making streets safe for pedestrians. "Traffic enforcement is a part of this, but it goes well beyond traffic enforcement. We need a multi-faceted approach. That's the work ahead," he told WCPO. 5. What's the plan for bikes, anyway? The last 10 years has seen a lot of planning for boosting the region's bike infrastructure -- including a 15-year bike plan that includes new trails, new bike lanes and even protected bike lanes. It's been a tale with two parts, though. On the one hand, Mayor John Cranley has championed the DOTE's work on designing and financing off-street trail projects like the Wasson Way or Ohio River-Oasis trails. On the other hand, on-street bike projects have struggled to gain and keep support. The Central Parkway Protected Bike Lane met strong opposition from the mayor and some on City Council, and was almost removed. Extending the protected lane to its intended destination at Hamilton Avenue remains uncertain. Whether or not Cincinnati can find a place for a new home stadium for FC Cincinnati, the project -- if approved -- could mean a handful of new infrastructure projects to accompany the privately-funded stadium, some at the city's expense. That would mean everything from new access roads and new underground utilities. The scope of this project remains uncertain, as the club has yet to determine a location -- which would need city approval -- and Major League Soccer has yet to announce its second expansion team for this round. In the meantime between Moore's departure and his replacement's hiring, city engineer Don Gindling will fill in.